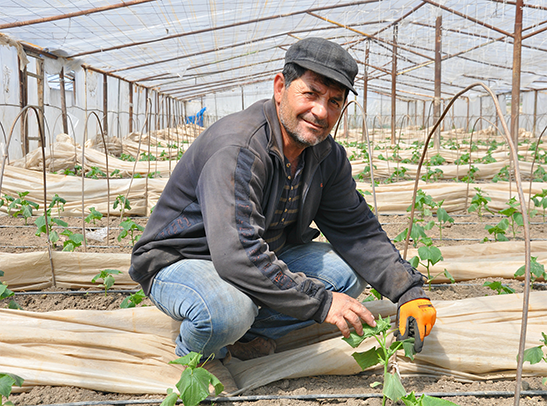 FINCA is a pioneer in developing market-based solutions to build economically sustainable communities and enable full participation in the economy. With its microfinance tools designed to serve the “unbanked,” FINCA has shown that access to responsible financial services can bridge the economic gap and create economic sustainability and self-reliance. FINCA Impact Finance is a subsidiary of the FINCA Microfinance Holding Company LLC and supports a network of 20 community-based microfinance institutions and banks. FINCA Impact Finance is leveraging the power of technology to put financial power in the hands or around the corner from our customers, no matter where they live. So he came up with an idea; if the farmers formed groups to share a loan and guarantee repayment, they could access the funds they needed to invest in their farming operations. It was the dawn of what we know today as microfinance. The idea proved versatile and revolutionary. Remaining true to its original idea, FINCA has become a global network of secure, sustainable microfinance institutions and banks that help low-income families create jobs, build assets and improve their standard of living. 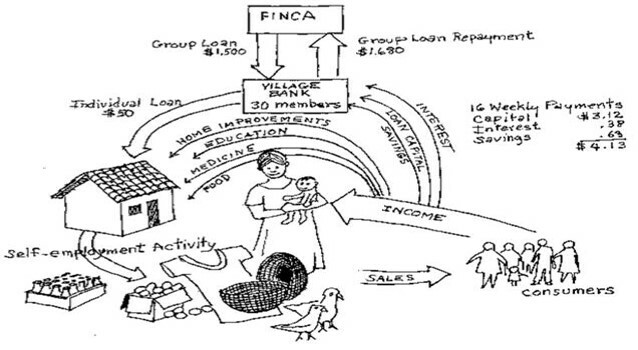 FINCA Impact Finance’s network of 20 community-based microfinance institutions and banks offers responsible and impactful financial services to low-income clients. With 30 years of experience and a mostly local staff of over 10,000, FINCA Impact Finance delivers a double bottom line of social impact and financial sustainability. With its Headquarters in Washington, DC and 20 subsidiaries in Africa, Eurasia, Latin America and Caribbean, and the Middle East and South Asia and working in some of the most challenging markets in the world, FINCA Impact Finance’s geographic reach is among the widest of the leading responsible finance networks. The majority owner of the FINCA Impact Finance network is FINCA International, a not-for-profit organization. FINCA International is joined by socially minded minority shareholders. Today, the breadth and reach of our responsible financial services continues to grow and evolve to meet new needs and new opportunities. FMH has gone beyond traditional microfinance by leveraging the power of new technology, such as mobile phones and agent banking, to make banking more affordable and accessible. FMH aims to put banking in the hands or around the corner from our customers, no matter where they live. On January 1, 2017, FMH officially launched FINCA Impact Finance, the global services company of the FINCA network.